Each letter represents a characteristic that every parent hopes their child will develop. C is for caring, P is for patient, and U is for understanding. All great messages to share with your young children. The pictures are creative, colorful and captivating to young children. This is a book that they can look at again and again. Not only are the books full of positivity--they are also sure to become family treasures. 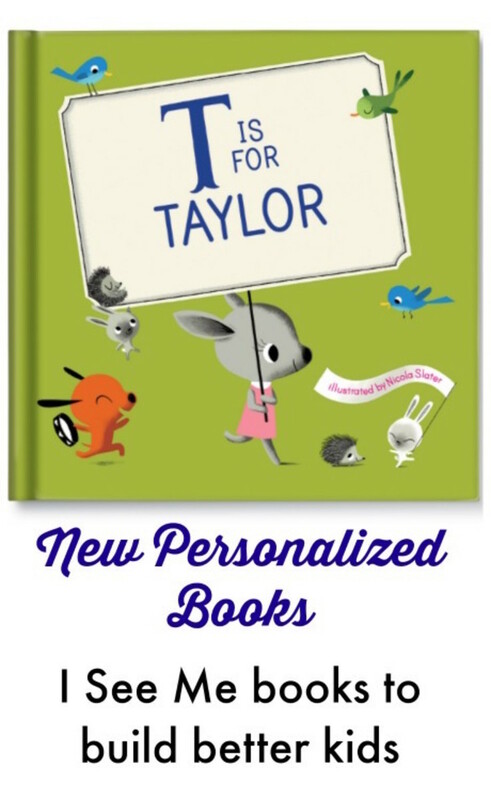 When you order this one-of-kind book you can add a special message and photo into the book. They make great shower gifts--incredibly thoughtful and personal. Maybe it&apos;s a gift an older sibling can make for a younger sibling to welcome the new family member. It&apos;s also great as a small gift for a friend who isn&apos;t having a shower. This new book is $34.99 and with standard shipping will deliver 2 weeks after date of order. Yes! They do ship internationally! International delivery arrives approximately 2 weeks after order date. Head here to order M is for Me www.iseeme.com/m-is-for-me-personalized-book.html I&apos;ve given this book as a gift and we have them for the kids, my girls are now full-blown &apos;tweens and they absolutely treasure these books. They will become family heirlooms for sure. This is a sponsored post.